Hello guys! So I have been working on a translation guide on how to play the mobile game 星のドラゴンクエスト/Hoshi no Dragon Quest/Dragon Quest of the Stars. Not only am i working on a guide but also have a Discord server where we can plan multiplayer quests, discuss about the game, where i post my guides, talk about the series as whole, etc. I welcome everyone to join. The main mission is to bring current players together and have newcomers join and help eachother on quests, using the multiplayer feature. Id like for fans to give this game a try if they haven't yet. It is not region locked or IP locked, you do have to either change your play stores region or download QooApp application to download the game since it may not be available to your country, but as far as opening the game and playing it requires no VPN or any sort of trick to playing it. https://discord.gg/GhaWysV I am also looking for people who would like to help with Translation and being Discord Mod. Message me for details if you have free spare time and would like to have a fun project to collaborate with, have ideas youd like to share, or just want to give to the DQ community in any way. It takes a lot of tweaking to get the classic DW font (or any font that the default text boxes weren't designed with) to work. It's a very involved process and requires going into the scripts for each text box and adjusting the pixel sizes of the text areas themselves. It's really silly. So the reason text get stretched is because there is more room allowed than there are characters, and vice versa when it gets smushed is because there are more characters than allowed space. It was a really grueling trial and error process I had to go through for both DWCs to make things look right and not fun at all. It was hard for me to take Calasmos all that seriously when he looked like a giant version of Cell from Dragon Ball Z with a goofy fat baby face. However, I do like the way his text is presented, and the brief moment in the final battle where you hear how his text sounds with that incredibly ominous deep sound to it was perfect for a villain. Honestly it made me wish we had the option for voices or text speech sounds because I would turn it to the latter just for that. Jaspar was okay. He’s a villain I hate because his boss battles were some of the more difficult ones in the game (might be just because I was playing with strong enemies, but who knows) and I did like his human design. I feel like they were going for an Angelo/Marcello story with him and Hendrik, but it didn’t quite hit the mark. Their confrontation with each other in ruined Helidor castle was a great cutscene though, along with the reveal of their past. I just got hope the Switch version goes into more detail on there past. Now Mordegon, honestly, is one of my favorite DQ villains. The big reveal of who he was and how he became the monster you know was unexpected, and actually seeing a DQ villain succeed in taking over the world was pretty unexpected. True, Orgodemir before him managed to fool the world, but Mordegon’s rule had such a huge impact on the entire world. With most DQ games, I always felt like while the big bads are powerful and a threat, they never do much to actually flaunt their powers and the worlds are usually pretty well off looking despite monsters running around. With Mordegon’s rule? Most of the world/landscape is torn up somehow, monsters have become much more violent, you see his forces decimate towns and see how the world has a more muted feel to it with the ever present brown sky during the daytime hours. Heck, him showing up to fend off the Lantern was pretty unexpected and demonstrated he was willing to go beyond his castle to actually do something if he wanted to, unlike say Nimzo or Mortamor who sit on their asses waiting for their minions to do their dirty work or how Baramos was such a “threat,” when Ortega went after him but didn’t do ANYTHING really evil and just waited for another hero to show up. So yeah. Calasmos and Jaspar were okay, Mordegon I really liked. Hello! New member here, saying hello! 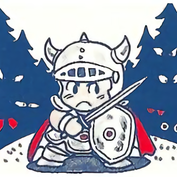 I have only ever beaten Dragon Warrior back when it was still new on the NES and then never went back to play any others thanks to becoming a Final Fantasy guy. I am currently in the process of correcting that thanks to iOS though. I am JUST about to fight the Dragonlord at the end of DQ1 as soon as I post this topic! Then it’s onto 2 amd down the line through to 6! I am very excited to finally give this series the attention it deserves. Hey, man, wouldn’t make much sense if I didn’t share the love. Share away! Full online and local wi-fi capabilities, natch. This game was the start of the MMO era. On that note, special online servers dedicated to specifically Massively Multiplayer gameplay would be more than appropriate. They've been running DQX for years, they could easily pull it off. More in-depth exploration of the lore. Zenus and Styrmling are in need of character resolution they never got in the original. I'd refine the character party system; the requisite party members being wholly unimportant to the story is silly and wrecks the immersion whenever the game dances around it. A solution that comes to mind include providing character recruitment quests during the main game for plot-significant characters and locals (Ivor, Erinn, Wallace, etc.) with expanded backstory quests in the postgame. I’ve been trying to think of what to say for this topic, so I’ll just go with this: All I want from a DQ9 remake is a game I enjoy from start to finish. I’ve never straight up quit a DQ game before, but something about DQ9 just rubs me the wrong way. Even when I first started playing it, it just didn’t really click with me, which is hard to believe for a DQ game! It’s the only mainline game I haven’t beaten (aside from DQ10 for obvious reasons), but I hope a remake would get me invested enough to at least finish the main game. I jokingly pick on DQ9 at this point, but I honestly hope at some point if a remake happens I’ll get it and enjoy it. I feel like Joker 3 played with this idea with Fondeww, but they also misstepped elsewhere. Welcome to the forums! Watch your step, don't fall off the thread, and you'll do fine. Never be sorry for that! We're happy to have you! (My favorite monster is the Metal Star, which is an obscure Metal King Slime-Death Star hybrid from the 3DS remake of DQMonsters 2). These two arrived in the mail this week. Got both directly from Amazon for a good price for new copies, and surprisingly the version of Cold Steel 1 ended up being the special edition one. That was a nice surprise. I have to laugh how most of my physical Vita library is now Falcom games. I’m not complaining since I’ve enjoyed everything I’ve played from them, but it’s just kind of funny. I just remembered that the size system became a thing in Joker 2 where monsters could take up multiple spots in the party. I liked this feature but many did not as I think it was very unbalanced and damaged the competitive aspect of the game. Personally, I'd like to see it return but I wouldn't be surprised if it didn't. Also in Joker 3/Monsters 2 3DS (I think), you were able to alter the size of your monsters, so that may be the solution that is used in this game. Yeah, the recolours in Joker 3 was a real let down. I don't mind the odd recolour here and there like in Joker 1 and 2 but I'd like to see a lot more variety. The skillsets used in the GBC games are fun to use and I think that not having set learnsets is a good idea and can make the game very interesting (a prompt to breed more monsters as well). However, I'd also like to keep stat boosters (Attack Boost etc. ), so maybe they could put stat boosters into a seperate system than the learnsets. Ah i see. I do plan on translating the story once I've fully covered the the game mechanics and such, which im close to getting done. Its a pretty long story now having 2 worlds. The first world is a whopping 390 quests, and 182 subquests. The second world is now at 202 quests and 104 subquests 😵 Not counting the Loto and Zenithian perma-event quests, and limited events that pop up... Iol it's alot for just me who is doing this. But I do hope that either we do get this game in english one day or once I get to translate the story that you possibly come back and are able to enjoy the game Yeah the Star God limited event is awesome, finally mixing some scifi into the DQ theme. It's refreshing to see the series being experimented like so! So...New Year’s resolution was to do a new recipe each week. Stuff happened in February that discouraged me from continuing after making two new recipes (both of which aren’t worth mentioning, they were basically appetizers that were meh) and last month I was focused on trying to find a new job I didn’t think about the recipe stuff. Today, I broke that and tried a new recipe. I don’t know if I can keep up with a new recipe each week, but I’ll do what I can. With that, here’s the new one I tried: It seems like an odd combo of stuff (particularly the cream of mushroom, honey, and horseradish) but man, it was GOOD. I cubed my potatoes rather small and had the soup cook for about 5 hours, and it was done and plenty hot. The mixture of ingredients was really unique, creating a great combination of flavors. Whenever I make this one again I’m going to substitute chicken for the turkey sausage, as I thought the sausage was the weakest part of the recipe. Still good, but it wasn’t quite as flavorful as everything else. Definitely going to make this one again in the future. I've never run across one myself, but I was under the impression that Dragon Potions were one-time use. @Woodus sure, if I find it. ...I actually haven't had a chance to try the latest demo, unfortunately. Internet here is total crap so I haven't been able to download it. I saw the screenshots, though. I have my own recreation of the NES font somewhere that should be visually identical to Woodus' (I think he made the other one floating around), but was very likely created by a different piece of software as his (I used the website, FontStruct). If I can find it/redownload it, I can send it to you for you to try out if you'd prefer it over Garrick Bold. Looks good so far, I like the appearance choice as well, as well as the appearance of the Trode and Stella. The helpers when you die is a nice touch too. Nice having the bank in there, and impressive work on the Slots and babblejack. One thing I did notice, during battles on the ship, a "Bilshe" was attacking from my party, but there wasn't a Bilshe in my group. Hey @foxfirenelli, since you don't seem keen on using the old Dragon Warrior NES font, I thought I might share this with you: https://fontzone.net/font-details/garrick-bold Garrick Bold is the font used in Dragon Quest XI and maybe even VIII (not sure but it's not in front of me). Played a little bit of the demo today, really enjoying it so far! You've nailed the Dragon Quest feel - the NPC interactions are charming, and the music makes me feel very nostalgic. I really like some of the new stuff you added as well, like the ability to pick your character's appearance, the type of relationship with your teammate and being able to save on the world map. Seeing Trode and Stella was also a nice surprise. I'll let you know if I run into any problems, but so far so good! Subreddit is strong and good but as long as Reddit has this abhorrent downvote/upvote system it dilutes any kind of discussion to popularity contests. 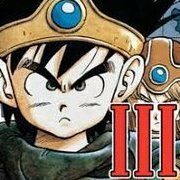 "DRAGON QUEST in Japan: DRAGON QUEST VR"
Sorry to kick up an old thread - apparently I have not been on the forum in months... I started working for Square Enix a little over a year ago. Started just on DQ, and now I work on almost all of the Japanese titles. There is http://dqm23ds.ffsky.cn/montou.htm or http://dqm3d.ffsky.cn/monsters.htm.